United Launch Services LLC, Centennial, Colorado, has been awarded a $208,140,481 modification (P00163) to previously awarded contract FA8811-13-C-0003 for launch vehicle production services. This is under the requirements contract terms of the Evolved Expendable Launch Vehicle (EELV) Phase I contract for contract terms of EELV launch capability. contractor will execute a requirement for fiscal 2017 for the launch vehicle configuration of an Atlas V 551, an additional solid rocket booster for an Atlas V 551, transportation, and incremental funding for ELC fiscal 17 option. This modification adds a pre-priced contract line item for the Atlas V 551 LV configuration. Work will be performed at Centennial, Colorado; Decatur, Alabama; and Cape Canaveral Air Force Station, Florida, and is expected to be complete by Sept. 30, 2019. Fiscal 2017 space procurement funds in the amount of $208,140,481 are being obligated at the time of award. Space and Missile Systems Center, Los Angeles Air Force Base, California, is the contracting activity. Aerospace Engineering and Support, Ogden, Utah (FA8224-17-D-0005); AllSource Global Management, Sierra Vista, Arizona (FA8224-17-D-0006); SierTek, Beavercreek, Ohio (FA8224-17-D-0007); Young’s Engineering Services, Syracuse, Utah (FA8224-17-D-0008), have been awarded a combined, not-to-exceed $95,000,000 indefinite-delivery/indefinite-quantity contract for overhead production services. Contractors will provide business, management and production operations for depot maintenance to include planners, schedulers, production support technicians, production material technicians, analysts and other similar functions. Work will be performed at Hill Air Force Base, Utah; and Davis-Monthan Air Force Base, Arizona, and is expected to be complete by May 18, 2023. This award is the result of a competitive acquisition with eight offers received. Fiscal 2017 consolidated sustainment activity group – maintenance funds in the amount of $2,500 are being obligated to each contractor at the time of award. Air Force Sustainment Center, Hill Air Force Base, Utah, is the contracting activity. L-3 Link Simulation and Training, Arlington, Texas, has been awarded a $13,946,359 modification (P00071) to previously awarded contract FA8621-13-C-6323 for Predator Mission Aircrew Training System (PMATS) Blue Box High Definition (BBHD) retrofit upgrade. Contractor will retrofit 26 fielded PMATS devices to the BBHD configuration. Work will be performed at Arlington, Texas, and is expected to be complete by Aug. 17, 2018. Fiscal 2015 missile procurement funds in the amount of $13,946,359 are being obligated at the time of award. Air Force Life Cycle Management Center, Wright-Patterson Air Force Base, Ohio, is the contracting activity. Southwest Research Institute, San Antonio, Texas, has been awarded a not-to-exceed $13,139,976 cost-reimbursement (cost-plus-fixed-fee and cost-reimbursement-no-fee), indefinite-delivery/indefinite-quantity contract for engineering services in support of AN/ALQ-131 and AN/ALQ-184 electronic attack pods. Contractor will provide software test, software studies and analyses, software engineering, software support, test support, and system test and evaluation. 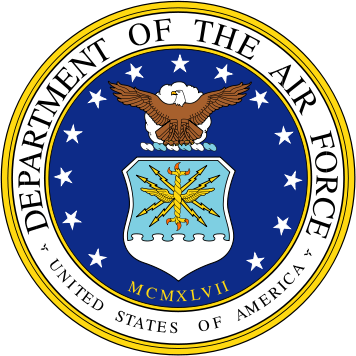 Work will be performed at Robins Air Force Base, Georgia, and is expected to be complete by May 16, 2022. This award is the result of a sole-source acquisition. Fiscal 2017 operations and maintenance funds in the amount of $2,771,890 are being obligated at the time of award for the first task order. Air Force Life Cycle Management Center, Robins Air Force Base, Georgia, is the contracting activity (FA8523-17-D-0003). Lockheed Martin Corp., Lockheed Martin Aeronautics Co., Fort Worth, Texas, is being awarded a $137,834,819 modification to a previously awarded cost-plus-incentive-fee contract (N00019-14-C-0002) to provide additional funding for affordability-based cost reduction initiatives in support of low-rate initial production Lot 9 F-35 Lightening II Joint Strike Fighter. Work will be performed in Fort Worth, Texas (30 percent); El Segundo, California (25 percent); Warton, United Kingdom (20 percent); Orlando, Florida (10 percent); Nashua, New Hampshire (5 percent); Nagoya, Japan (5 percent); and Baltimore, Maryland (5 percent), and is expected to be completed in December 2020. Fiscal 2016 aircraft procurement (Air Force, Marine Corps, and Navy) funds in the amount of $137,834,819 are being obligated on this award, none of which will expire at the end of the current fiscal year. This modification combines purchases for the Air Force ($110,267,856; 80 percent); Marine Corps ($22,554,788; 16.4 percent); and the Navy ($5,012,175 (3.6 percent). The Naval Air Systems Command, Patuxent River, Maryland, is the contracting activity. Gentex Corp., Simpson, Pennsylvania, is being awarded a $51,422,600 firm-fixed-price, indefinite delivery/indefinite quantity contract for the purchase of up to a maximum 84,376 enhanced combat helmets and data reports. Work will be performed in Simpson, Pennsylvania, and is expected to be complete by May 2022. Fiscal 2017 operations and maintenance (Marine Corps) funds in the amount of $9,999,990 will be obligated on the first delivery order immediately following contract award and funds will expire the end of the current fiscal year. This contract was competitively procured via the Federal Business Opportunities website, with three offers received. The Marine Corps Systems Command, Quantico, Virginia, is the contracting activity (M67854-17-D-1221). General Dynamics Electric Boat Corp., Groton, Connecticut, is being awarded a $32,700,000 cost-plus-fixed-fee modification under a previously awarded contract (N00024-13-C-2128) for continued design support requirements for Columbia Class Submarine (formerly known as the Ohio Replacement). This contract includes shipbuilder and vendor technology development; engineering integration; concept design studies; cost reduction initiatives using a design for affordability process; and full-scale prototype manufacturing and assembly. Additionally, this contract provides for engineering analysis, should-cost evaluations, and technology development and integration efforts. Work will be performed in Groton, Connecticut (91 percent); Newport News, Virginia (7 percent); Quonset, Rhode Island (1 percent); and Bath, Maine (1 percent), and is expected to be completed by June 2017. Fiscal 2017 shipbuilding and conversion (Navy) funding in the amount of $32,700,000 will be obligated at time of award and contract funds will not expire at the end of the current fiscal year. The Naval Sea Systems Command, Washington, District of Columbia, is the contracting activity. L3 Computer Sciences Corp., Millersville, Maryland, is being awarded a $13,592,178 fixed-price-incentive firm undefinitized contract action modification to a previously awarded contract (N00024-15-C-6275) to exercise an option for the procurement of six TB-29A compact towed array production representative units. Work will be performed in Millersville, Maryland (41 percent); Liverpool, New York (38 percent); and Ashaway, Rhode Island (21 percent), and is expected to be completed by September 2018. Fiscal 2016 other procurement (Navy) funding in the amount of $13,592,178 will be obligated at time of award and will not expire at the end of the current fiscal year. The Naval Sea Systems Command, Washington, District of Columbia, is the contracting activity. Lockheed Martin Corp., Rotary and Mission Systems, Manassas, Virginia, is being awarded an $11,029,399 cost-plus-incentive-fee, cost modification to a previously awarded contract (N00024-11-C-6294) for the accomplishment of engineering services under the Acoustic Rapid Commercial-Off-The-Shelf Insertion System program. This contract involves foreign military sales (FMS) to Canada (100 percent). Work will be performed in Manassas, Virginia (80 percent); and Dartmouth, Canada (20 percent), and is expected to be completed by December 2017. FMS funding in the amount $2,066,150 will be obligated at the time of award and will not expire at the end of the current fiscal year. 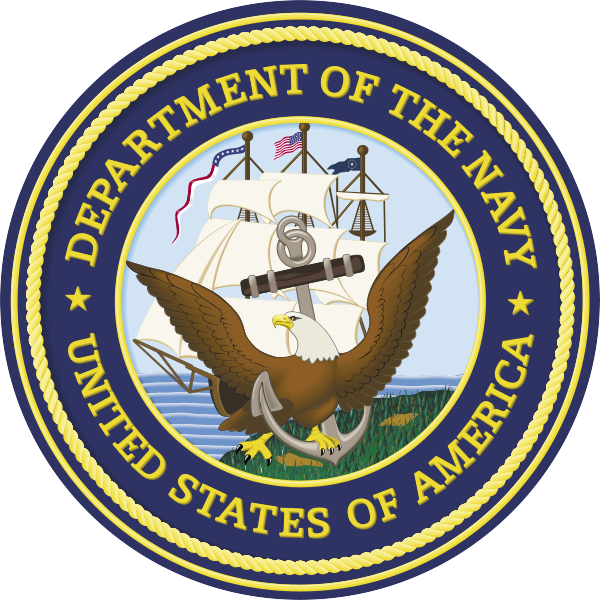 The Naval Sea Systems Command, Washington Navy Yard, Washington, District of Columbia, is the contracting activity. Raytheon Co., El Segundo, California, is being awarded $7,183,792 for firm-fixed-price delivery order 0009 under a previously awarded basic ordering agreement (N00383-15-G-003H) for the repair of nine multi-functional antenna assemblies used in support of the F-18 Active Electronically Scanned Array Radar System. Work will be performed in Forest, Mississippi, and is expected to be completed by Dec. 2018. Fiscal 2015 aircraft procurement (Navy) in the amount of $7,183,792 will be obligated at time of award, and funds will expire at the end of the current fiscal year. This contract was a sole-source pursuant to the authority set forth in 10 U.S. Code 2304(C)(1), and Federal Acquisition Regulation 6.302-1. The requirement was posted to the Federal Business Opportunities website and the Navy Electronic Commerce Online website, with one offer received. 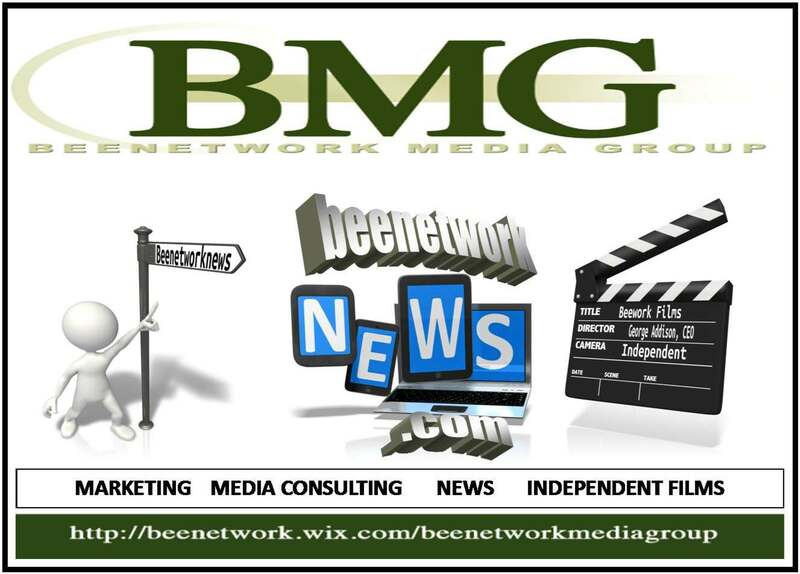 Naval Supply Systems Command Weapon Systems Support, Philadelphia, Pennsylvania, is the contracting activity. Lockheed Martin Rotary and Mission Systems, Moorestown, New Jersey, was awarded a $20,000,000 modification (P00246) to a previously awarded cost-plus-award-fee, cost-plus-incentive-fee contract HQ0276-10-C-0001 to exercise option contract line item number (CLIN) 0110. This modification increases the total cumulative contract value to $2,530,887,742 from $2,510,887,742. Under this modification, the contractor will provide support of advanced concept initiatives by the Aegis Ballistic Missile Defense (ABMD) Program Office to identify technology for introduction into present and future ABMD baselines and upgrades. The work will be performed in Moorestown, New Jersey, with an expected completion date of Oct. 27, 2019. Fiscal 2017 research, development, test and evaluation funds in the amount of $3,000,000 for CLIN 0110 will be obligated at the time of award, and will expire at the end of the current fiscal year. The Missile Defense Agency, Dahlgren, Virginia, is the contracting activity. Accenture Federal Services, Arlington, Virginia, was awarded a $59,459,062 modification (D00397) to contract N00104-04-A-ZF12 for maintenance and operations of the General Fund Enterprise Business System year-end activities, baseline delivery, and release delivery. Work will be performed in Arlington, Virginia, with an estimated completion date of July 31, 2017. Fiscal 2017 operations and maintenance (Army) funds in the amount of $3,096,426 were obligated at the time of the award. U.S. Army Contracting Command, Rock Island Arsenal, Illinois, is the contracting activity. MOCA Systems,* Newton, Massachusetts, was awarded a $25,000,000 firm-fixed-price contract for cost engineering services in support of U.S. Army Corps of Engineers’ nationwide cost engineering projects. Bids were solicited via the Internet with eight received. Work locations and funding will be determined with each order, with an estimated completion date of May 18, 2022. U.S. Army Corps of Engineers, Walla Walla, Washington, is the contracting activity (W912EF-17-D-0012).